Discover a better way to consume technology. Much has changed at our company since we started in 2000 – including, most recently, our leadership and our brand. 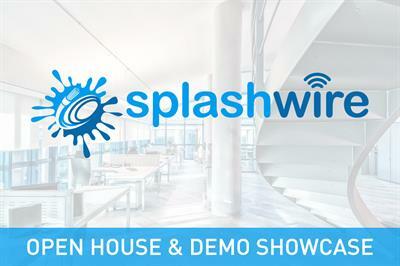 As we embark on a new era as Splashwire, we invite you to celebrate with us by attending our Open House and Demo Showcase! After joining us for lunch and tours, you’ll have the opportunity to choose from among a series of informative breakout sessions. You’ll also have access to demonstrations provided by representatives of our technology and information security partners. The event will top off with happy hour and networking featuring drinks, heavy hors d’oeuvres and live music. Come and Discover a better way to consume technology! Register for our Open House and Demo Showcase by Sept. 10! Register for free by September 10th!